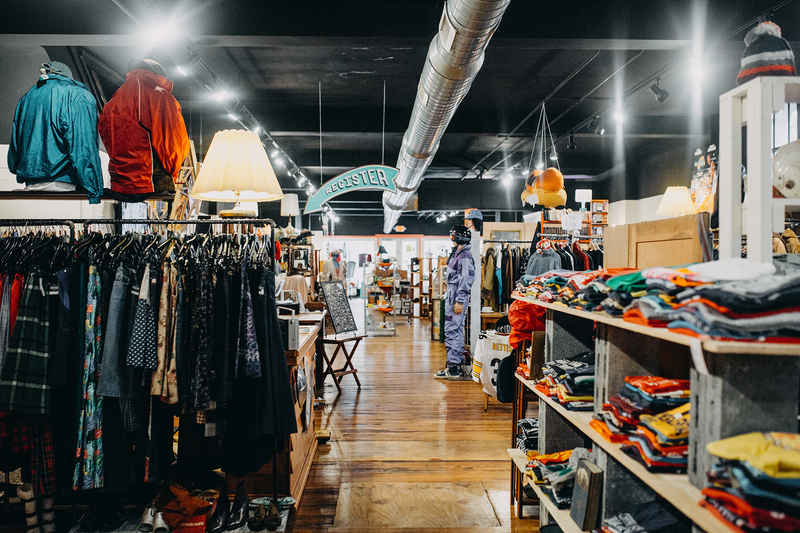 Walking into Redeux Vintage & Handmade Marketplace is like stepping into your super cool aunt’s big city apartment that you’re always swooning over, your chic best friend’s walk-in closet you’re dying to raid or your grandpa’s locked-up storage unit. It’s a 8,000-square-foot vintage gold mine — but think less jam-packed trunk diving and more aesthetic, curated displays. Redeux took the overwhelming feeling out of crowded antique malls and modernized the experience. Even a look through the windows will captivate your curiosity. And now, as if Royal Square’s beloved Redeux could get any more epic, Redeux has opened a second location to house the ever-expanding collection of vintage fashion, furniture, home décor and more. Alex Devoe moved back to Downtown York in 2009 with a dream to rejuvenate the culture in the city. When a partner acquired a building on South Duke Street and couldn’t find a tenant who needed so much square footage, she had an idea: Pack the space with multiple vendors and create an antique mall. Alex had several friends who collected vintage goods or sold handmade items, and the journey began. Today, Redeux houses over 40 merchants from all over Central Pennsylvania and has completely revitalized the antique mall concept. Alex says, “It’s not vintage in the way our parents remember.” What starts as a quick peek into the entrancing window display becomes an afternoon lolling among the shelves, stacks and racks of trendsetting streetwear, jewelry, leather, furniture and home décor. Earlier this year, Redeux gave its York customers more to love about shopping for vintage finds in Royal Square. Its expansion to the building’s second floor offers even more space for shoppers to find treasures they just can’t resist taking home with them. Husband and wife team Alex and Avery Devoe, co-owners of Redeux, believe that Downtown York is the perfect scene for their vintage warehouse. The city’s central location provides accessibility for merchants from all over Central Pennsylvania and Maryland, not to mention customers from Washington, D.C., Baltimore and Philadelphia. The endless community support of the city keeps the inventory alive and their vendors’ businesses continuously growing. “We love that our 40 merchants are Central Pennsylvania socialites, and when you enter our space, it’s like you’re entering their living spaces. That’s what we add to York, a memorable experience,” Alex says. Since Alex and Avery’s decision to quit their jobs and pursue vintage dealing full time in 2017, Redeux has only continued to expand. This month, they’ve officially opened their new 1,600-square-foot storefront in Lancaster. Located in the second-floor space above the Prince Street Café, they’re channeling a “trendy vintage department store” with their own personal collection of inventory. So, York, now you’ll have to make the trip across the bridge to make sure you’re not missing any of Redeux’s hidden gems. Follow them on social media for all of their store and inventory updates! © 2018 YRK Magazine. All rights reserved.